Recently I bought a second hand Sony netbook that a friend bought on Italy. Sincerely when I agreed to buy it I didn’t take into consideration that it could come with a rather strange keyboard and we usually tend to think that every keyboard will work as a US_International one… What a mistake. 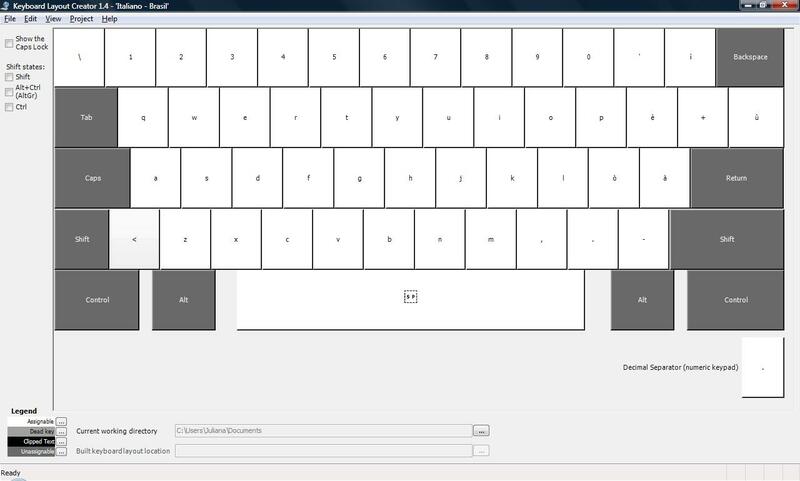 First attempt was to map it as an ABNT2 keyboard and blindly type but it wasn’t that good. 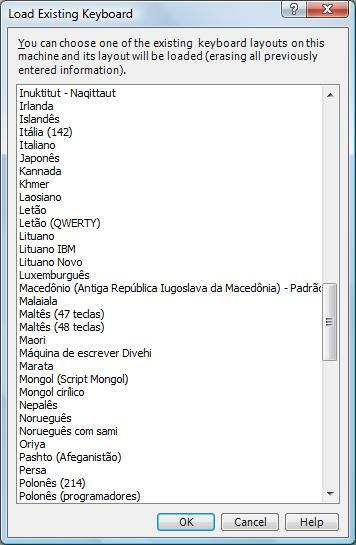 Next I tried setting language as portuguese and keyboard as italian (hoping dead keys would work)… another failure… that was time I tried to do the old trick my Lenovo had on Windows (something similar to what I used on Linux… but the fact is Linux has always dead keys… no matter what keyboard language you are using…) and this could only handle swapping keys but if my keyboard missed dead keys (as it missed at all I would never have dead keys with this trick). With this tool you can even get around the “missing curly braces limitation” of italian keyboards. After you pick up your template keyboard you’ll be presented with the screen where you can customize it. This screen presents you keyboard with a visual representation of a keyboard. When you click any of the keys you’ll be presented with a short popup and a button where you can open the full customization screen. 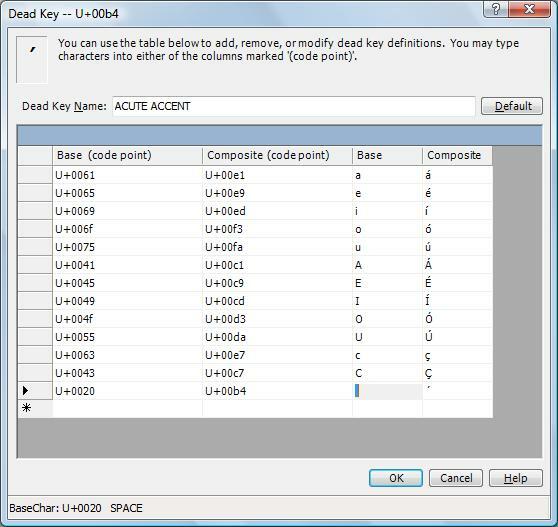 This is where you provide new meanings for keyboard keys, in my particular case I had to change circumflex key from a simple key to a dead key. 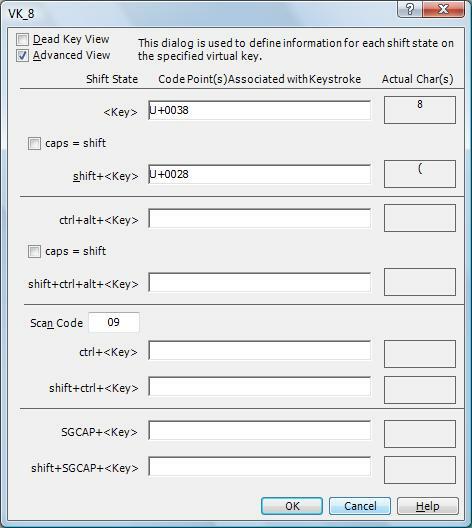 In order to do this I had to enable the dead key view in the window above and then define all the dead key possibilities. Note that there is a standard of having the symbol composition with white space as the last one on the list (the tool will complain if it is not like that and I sincerely did not test without complying to this). When you are done you only need to build the setup package and install on the desired machine. If instead of a such a powerful tool you only need to simply swap one key by another, something as Lenovo did on the Windows XP bundled in my notebook. While searching on the internet for some documentation on this I found this site which describes pretty well what you need to do even with samples but misses the whole scancodes list. The after some googling (and a few outdated link on MS site) I found this site that describes the remapping method and this one that has a word document with scancodes. Another handy tool for this job is an old tool from Visual Studio called spy++ but this tool is only supplied into paid Visual Studio versions.